Today’s front page of the New York Times presents a dramatic example of what drives some people crazy about the news media — hidden bias. Many people expect the Times to exemplify the 20th Century ideal of journalistic “objectivity,” a perhaps naive view that news should consist simply of facts. In this view, readers of such facts should draw their own conclusions, and the newspaper as an institution should restrict its opinions to the editorial page. People who hold those views will surely be angry with the Times today for its handling of the Trump-birther story. The lead story –the one judged by Times editors to be the most important of the day — is not a news story at all. It is a “NEWS ANALYSIS” that is marbled with blatant opinion and bias. The author, Michael Barbaro, obviously hates Trump, and his piece drips with contempt. Yes, the Times applied a few fig leaves: the NEWS ANALYSIS line above the headline and the setting of the type in a “ragged right” format, rather than the “justified” columns that the paper uses for straight news. But a groggy reader at the breakfast table could be forgiven for expecting a news organization to lead with news, rather than opinion. The Times did in fact carry a straight news story about the same event, but it was buried inside. As you can see, the Trump analysis piece is re-contextualized and subordinated to classic Times-only stories: a tribute to a playwright whose work is essentially unendurable and a staff story from a distant hellhole. The Barbaro analysis piece is still there, now positioned in the lefthand column and still given precedence over the related news story. But notice that in the online format, editorials get equal billing with news. What the Times calls “The Opinion Pages” now occupy the upper right quadrant of the homepage — in the spot traditionally reserved in the old print layout for the day’s top news story. So, the reader who scans this page will observe first that the Times hates that liar Trump and second, that the news team follows the same editorial line. For the record, Times editors insist that they are still following the rules of objective news. They insist that the editorial operation is totally separate from the news operation. They insist that their reporters are factual and fair. Is it any surprise that some readers disagree? Alternatively, Times editors might argue that “everybody knows” what Trump said, thanks to faster media. Therefore, the Times should offer readers something of value that they could not find elsewhere. There is some validity to that view, but the Times has not fully embraced that self-conception either. 1. A NYTimes invitation to a Sunday Dialogue, a feature of the paper’s Sunday Review section in which readers are asked to respond to a short essay. 2. My reply as published on Dec. 7, 2013. 3. A thoughtful email that I got from a reader, who gave me permission to post his ideas here. 4. The Sunday Dialogue replies by people other than me. 5. The original author’s reply to the replies. 6. My reply to that reply. How Fox News, MSNBC and others present the news. An autobiography gives an intimate account of a life, but to get the larger picture, you also need the biography. The same goes for news. Relying on one source, or even on several sources with the same bias, will leave you with only part of the story. That’s why the much maligned right-wing media is just as important as the so-called mainstream press. Fox News and others on the right certainly have a deeply embedded conservative bias, but the liberal bias on the other side is just as pervasive. Taken together, they roughly fill each other’s omissions. Fox, for example, spent a good part of the past year digging into the Benghazi attack and I.R.S. tax-exempt status stories and talking hopefully about smoking guns, while the mainstream press was determined to take the Obama administration’s word for it that it did nothing wrong in either case. More recently, when the president’s pronouncement about keeping your health insurance proved false, it was reported as a lie by the right and as a simple misstatement by the left. And when the Obamacare website failed so miserably that not even the mainstream press could cover for it, the networks were obliged to sound like Fox for a while, although noticeably lacking was the appetite for pursuit that characterizes their coverage of Republicans. Fairness in journalism requires not that every story or point of view receive equal weight but that every valid position receive equal respect. Thus the pro-life position should be treated with the same validity as pro-choice; small-government conservatives with the same respect as tax-and-spend liberals; Republicans as more compassionate than they sound and Democrats as less omniscient than they think. But since journalists and news organizations are partisan at heart, one must sift through the best reporting and punditry from each side of the journalistic divide and take all the biases and agendas into account to arrive at an informed understanding of any story. The writer is an antiquarian bookseller. In his lament about bias in the news media, Mr. Godburn assumes that unbiased journalism is possible and desirable. History suggests otherwise. 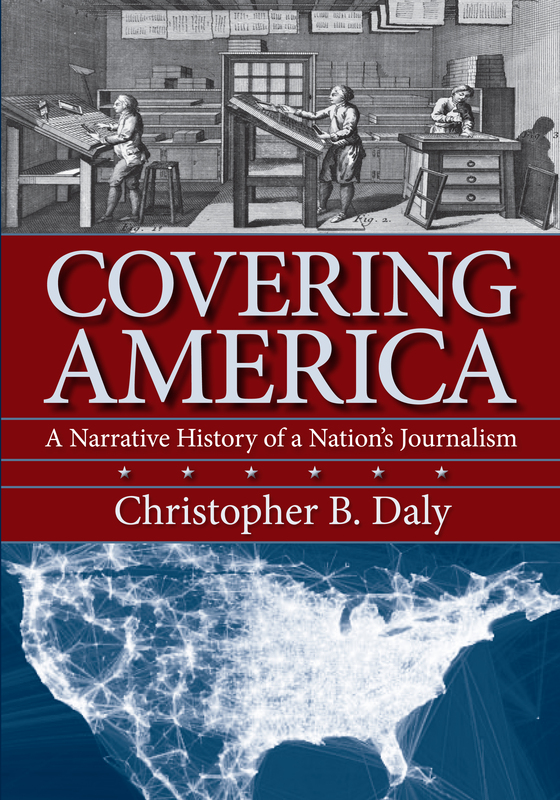 In the 18th and early 19th centuries, American journalism was highly political, often polemical and openly biased. That was the kind of journalism in which the likes of Sam Adams and Thomas Paine gloriously argued for liberty, and it was the form of journalism that was on the founders’ minds when they enshrined the doctrine of a free press in the First Amendment. Only later, beginning with Benjamin Day’s Sun newspaper in 1833, did American journalists begin to develop a strong tradition of factual reporting. 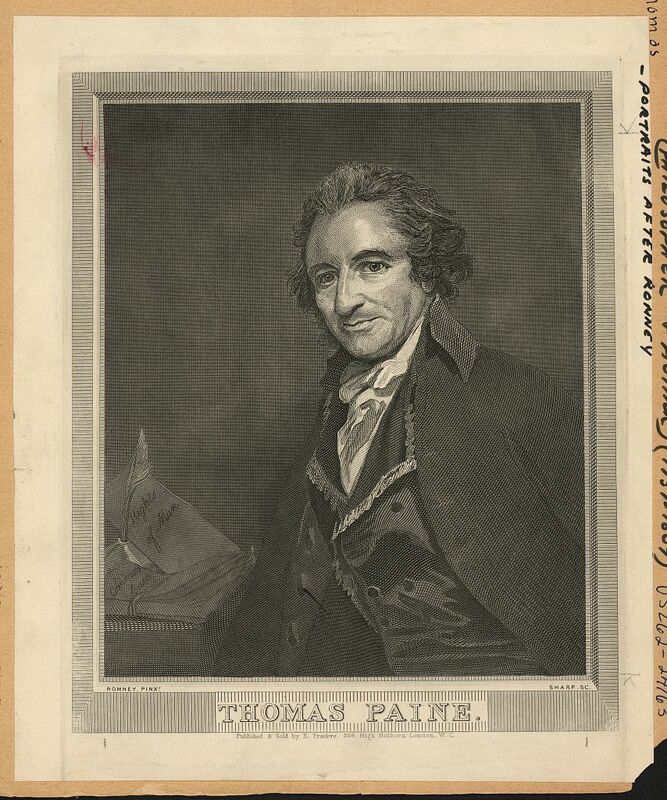 In part, this was the result of Day’s ambition to sell his paper to every reader (“It Shines for All”) and not limit his audience to members of any one political party. In the 20th century, the major broadcast network news divisions, first in radio and then in television, reinforced this idea. They not only wanted the highest possible ratings, but were also operating as publicly traded corporations and were regulated by the Federal Communications Commission. Nowadays, from within the turbulence of the digital age, we can begin to see that the years when big media companies were purveying what they described as nonpartisan, factual reporting were actually a historical period that is already fading into the past. The Internet has reinvigorated the “advocacy tradition” in journalism, and it has also made possible new forms of reporting such as crowd-sourcing, reporting that enlists the audience and the like. The spirit of innovation lives. Thank you for “Partisanship in the Media” in the December 8 New York Times letters. The revived “advocacy tradition” problem you mention might be easier to manage if we had a form of majority rule that allows the general public to have more influence. In the old days, the House was able to vote on any bill and the majority would prevail. Until an important bill recently passed by a wide margin, a Tea Party minority could usually intimidate other members, especially the Speaker, and prevent legislation that would easily pass from even getting to the floor. The minority party in the Senate can routinely block action on bills, because minority rule is built into Senate procedures. 60 votes are needed, with the help of a fickle minority, to pass legislation. Is there anything more vital to democracy than majority rule? Is this what distinguishes democracy from autocracy? Is this what a democracy needs in order to succeed? We have the elections we normally associate with a democratic process. We reassure ourselves by going through the motions. But the active ideological minorities in Congress, and the members who are owned and operated by special interests that donate large sums of money, are repeatedly able to slow or block or derail changes those few oppose and the rest of us generally favor. As such repeated occurrences so rudely remind us, we can have the structure, the trappings, the proceedings, the appearance of democracy without having majority rule. In an ideal world, graced by Enlightenment ideals, Mr. Godburn’s recommendation that citizens sift through biases of diverse news media outlets to form a complete perspective would be warmly endorsed. However, in this far-from-ideal world, individuals live in media echo chambers, selecting out viewpoints that agree with their own and sometimes avoiding conflicting ones. Research finds that conservatives gravitate to Fox News and liberals to MSNBC — as well as to like-minded websites. A Pew Research Center study reported that from August to October of 2012, just 6 percent of Fox News’s election stories about President Obama were positive, while only 3 percent of MSNBC stories about the Republican presidential candidate Mitt Romney were positive. Exposure to biased media strengthens partisan biases, exacerbating political polarization rather than producing the more informed understanding that Mr. Godburn desires. The writer is a professor of communication at Cleveland State University. I read The New York Times every morning. I also watch more MSNBC than I like to admit. Occasionally, for entertainment, I’ll wander to Fox for a Bill O’Reilly moment or two. Mr. Godburn’s thesis is an example of false equivalence. The Times is real journalism. But even The Times sometimes stretches too far in the service of “journalistic objectivity.” When one perspective is true and the other is propaganda, they should not be presented as equally valid. As to MSNBC and Fox: The MSNBC host Rachel Maddow, for example, is surely dramatic. But I have never encountered an instance in which she was fundamentally dishonest. On the other hand, Fox is frequently and outrageously untethered from the truth, and its talking heads are attack dogs. Anyone consuming equal doses of this “news” will have intellectual indigestion. If you bend over too far in the effort to be balanced, you’ll fall flat on your face. But while most right-wing news sources acknowledge their bias, those on the left deny their bias. Left-wing news sources are suffering a fallout in ratings because people are waking up to these facts and don’t like being manipulated. Mr. Godburn makes a telling point, but he doesn’t go nearly far enough. His assertion that liberal and conservative news outlets “roughly fill each other’s omissions” assumes that there are exactly two reasonable points of view toward any given social issue; that these viewpoints are locked in a zero-sum game whereby each one can be validated only to the degree that the opposing one is impeached; and that they happen to correspond to the platforms of our two leading political parties. Both parties are only too eager to promote this theory themselves, since it implies that together they have a monopoly on the truth. So a responsibility of both a free press and its readers is to examine both contrary viewpoints critically and consider other viewpoints — a third, fourth or fifth perspective — that have not been embraced by either side. Balanced news media is essential in any democracy. But let’s remember what brought us to the present situation — the 1987 repeal of the Fairness Doctrine, which required the airing of contrasting views on public issues, and the loosening of regulations on media concentration, allowing many media outlets to fall under the control of a few corporate-owned conglomerates. Both have created a situation in which media is not only biased and unbalanced, but overwhelmingly influenced by the opinions and wishes of its corporate masters. Having recently returned from a trip to Brussels, I found the evening news there to be refreshing and professional. One subject wasn’t beaten to death 24/7 as it is here. You didn’t have to flip from channel to channel to see the “whole” picture, and the news was international in nature. In the United States you rarely hear about what is going on in Africa, Australia and, actually, most of the world. Studies have also shown that, for many Americans, Fox News is their only source of news. Those viewers are getting a slanted perspective — not balance. Defenders of Fox News often portray it as an underdog struggling to have a voice in the crowd of “mainstream” outlets, but that depiction simply isn’t consistent with its ratings. I commend Mr. Godburn for admitting that news outlets he identifies as left-leaning did report on the problems with Obamacare. I find that so-called left-leaning news outlets, including The New York Times, are frequently critical of Democrats and their policies. Mr. Godburn would have a much more difficult time finding comparable examples of Fox News criticizing the G.O.P. — except perhaps when it criticizes moderate Republicans for not being in lock step with the rest of their party. It may be a fool’s errand to think that we can overcome media bias. The media is ultimately a collection of voices of various people, who generally stick to certain biases and opinions. The answer instead may be to encourage media outlets to be more forthcoming about their biases. If we, as media consumers, know that a mainstream news outlet typically holds a certain viewpoint, then we can take in the news with a better understanding of what information may be missing or may be shaded one way or another. As it is, given the rather obvious political positions held by certain newspapers and television news divisions, many of us have already begun interpreting the news in this way. Professor Perloff reinforces my point by noting that conservatives gravitate to right-leaning news sources and liberals to left-leaning ones, often without being exposed to contrary views or inconvenient facts. But then he says that going to such biased sources only exacerbates the problem, as if he thinks there are reliably unbiased sources that one can go to instead. There are not, and that is why it is necessary to mine a variety of biased ones. Mr. Nelson engages in the cheap liberal tactic of Fox-bashing. If Fox’s talking heads are attack dogs, they are poodles compared with the pit bulls he favors at MSNBC. Simply calling one’s favored sources true journalism and the other side propaganda doesn’t make it so. And if too much news causes intellectual indigestion, too little causes intellectual blinders. Mr. Leitch is correct that there are more than two points of view. And examining all of them will not necessarily allow one to arrive at some desired middle ground. Just because you have one foot in hot water and the other in cold doesn’t mean you’re comfortable. Professor Daly’s claim that I assume unbiased journalism is possible and desirable may have been a good lead-in for his journalistic history lesson, but that’s not what I said. The problem is not that journalists are biased — it’s that they claim they aren’t. I will grant that maybe I misread his original post. When he wrote that all journalists and news organizations are partisan at heart, I thought he considered that a flaw. Perhaps inevitable, perhaps correctable (by reading multiple sources from different perspectives) but still a problem. If he says he doesn’t think so, then who am I to argue? I would say that many people (including a lot of journalists) do consider partisanship some kind of original sin of journalism. In his NYTimes column today, David Carr raises a somewhat misleading question about Glenn Greenwald, who broke the story about the illegal, secret NSA spying on innocent Americans. Carr poses the question: is Greenwald a journalist or an activist? I think that’s the wrong question, for several reasons. First, as a historian of journalism, I start with looking at the history of American journalism. 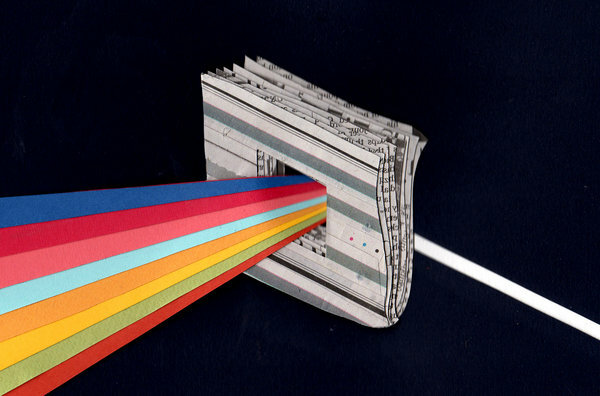 For more than a century, back in the early days of newspapers in Colonial America and during the first few decades of the early national period, there was no such thing as “objectivity” in the newspaper business, and there were no full-time reporters. That is, the entire industry was based on content created by people with an ax to grind. Often, they were political activists (like Sam Adams or Tom Paine) or surrogates for office-holders (like James Callender). The idea that a journalist should be defined as a full-time, professional fact-gatherer who has no political allegiances is not only unrealistic, but it is already a historical artifact. If that definition of a journalist ever made sense, it was during a period (the mid and late 20th century) that is now over. Today, the term “journalist” embraces all sorts of folks with different business models, different priorities, and different media. So be it. Glenn Greenwald is actually a case in point for this new media landscape. He is not just a reporter. He is a lawyer-litigator, an author, a columnist, a blogger, and an advocate. He is also gay and living in a DOMA-induced exile in Brazil. In all he does, he appears to have strong convictions (or biases, if you prefer). He makes no bones about his allegiances. In a sense, he is the compleat modern journalist — global, multi-platform, high-impact. I don’t agree with him on everything, but I value what he does. And I appreciate knowing where he’s coming from — unlike some journalists who actually have an agenda but deny it.